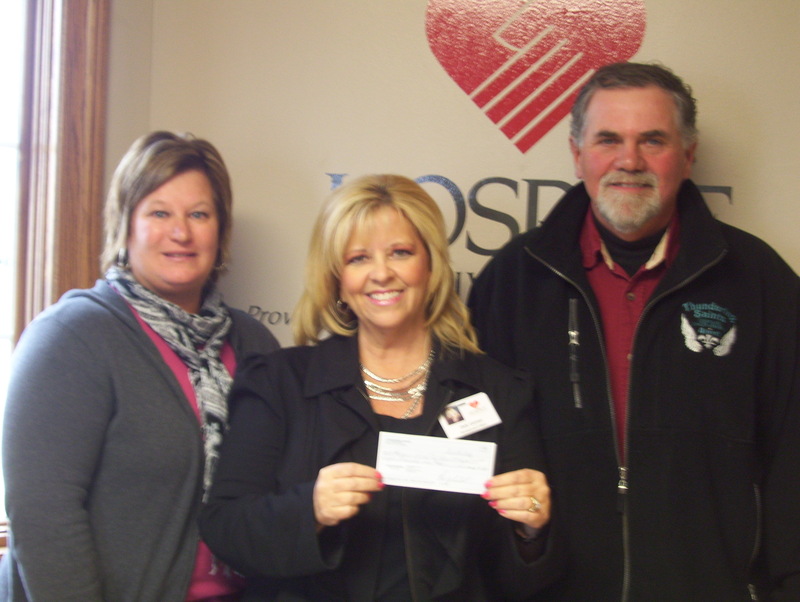 The Thundering Saints have donated $8,000 to Hospice of the Red River Valley, generated from proceeds of the fourth annual Debbie Gabel Memorial Ride held in Valley City on July 28. The donation will be used to provide compassionate end-of-life care to those in Valley City and surrounding communities. This year’s ride attracted approximately 200 motorcycle riders from the surrounding states. The event also included an appearance from the Vikings cheerleaders, a breakfast served by Relay for Life, a raffle, a silent auction and supper at the VFW, and street dance. The raffle’s grand prize, a 2012 Harley Davidson Heritage Classic, was won by a woman who has a son with cancer. Next year’s event is scheduled for Saturday, July 27, 2013.